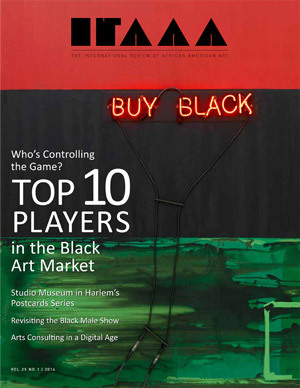 The market for works by African American artists continues to grow. Yet, as elsewhere in the art world, the gains are uneven, the majority of benefits accruing to a minority of artists, dealers and institutions. This, at time when economic disparity in black communities is increasing more quickly than economic disparity within the population as a whole. In addition, the market is undergoing scrutiny as curators and critics seem to act ever more blatantly as handmaidens to the functioning of the market. What is the art market really about? What is it telling us? How does it operate? Who is it for? 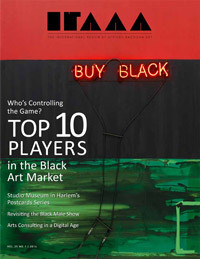 Various art experts respond in this issue.